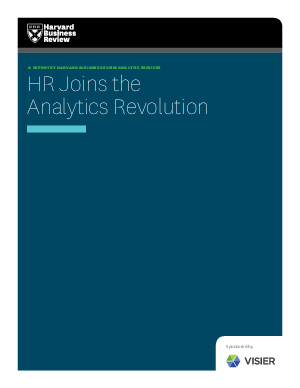 The “dataficaton of HR” is a leading business trend today and has the potential to change the game forever. With the workforce comprising an average of 70 percent of the typical company’s expenses, HR has the opportunity not just to “get a seat at the table” but also to play a critical role in driving business outcomes and improving financial outcomes. For this Visier-sponsored report, Harvard Business Review conducted an online survey of 230 executives, and interviewed HR leaders and industry experts, including thought leaders Josh Bersin and John Boudreau.